Whoa, that was fast! 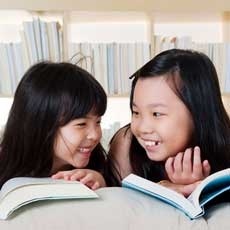 Winter break is right around the corner and it's time to get planning. (Yikes!) Have no fear. Hulafrog's Managing Editors from across the country weighed in on their fave holiday vacation spots. 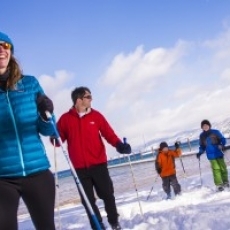 Whether you break out the skis, the shades, the sandals or the sneaks, we've got you covered! This beautiful Gulf Coast resort is AMAZING and covers the entire family: quiet cabanas, kids' pool with 2 slides, pizza, ice cream and candy shops! Amazing food and service. 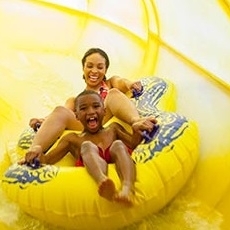 It's always a treat for the family to spend time over the winter at Great Wolf Lodge! 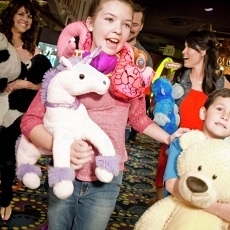 There's something for everyone: water park, rides, arcade, mini-golf, story times and family activities. Winter at Woodloch is a blast! Zoom down the Xtreme Snowtube Hill, throw on some ice skates, or join in activities like the Winter Olympics, Scavenger Hunt, Dessert Wars and more. This is why TripAdvisor.com (and our family!) 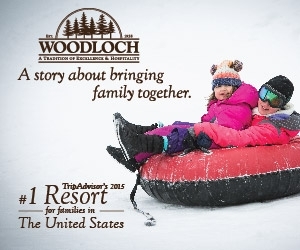 calls Woodloch the #1 resort for families in America. 4. National Parks for the Win(ter)! 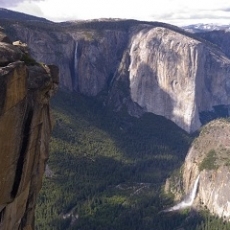 Happy Birthday National Parks! Off season means fewer crowds. 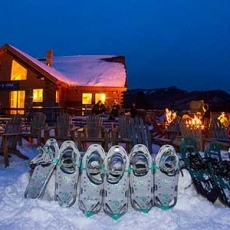 Stay warm in the Everglades or snowshoe in Yellowstone. Hike in Texas' Big Bend. So many to choose from! Vegas for the family! Circus Circus has daily circus shows and America's largest indoor theme park. Tip: The Skyrise Tower rooms are newly "refreshed" and the beds are super comfy. These retro cabins have access to the best cross country ski trails. Heads up: There are no TVs or phones in the year-round cabins. Too rustic? Stay at the historic South Lake Tahoe Hotel. Minutes from Legoland, and a short ride to the zoo, this is a great home base for a West Coast vacay! 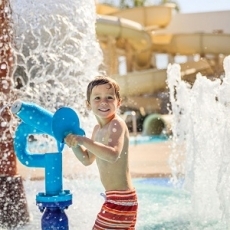 The resort has 2-bedroom suites, splash pads, a spa, golf and a kid's camp. 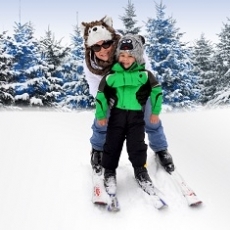 Enjoy snow tubing, skiing, and horse drawn carriage rides for the best family vacation! 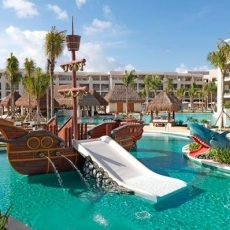 This all inclusive includes your meals, indoor water park, games and more! With my boys 8 years apart, Disney is our go-to for the entire family. 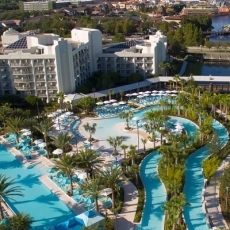 We love the Hilton for its great pools, it's across the street from Disney Springs and not as pricey as the resorts. Bonus: Free parking and shuttle service! 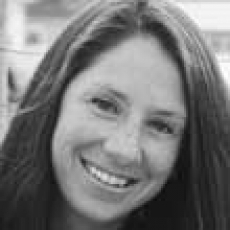 It's the only ski-in/ski-out resort on awesome Loon Mountain. There's fun ski and snowboard classes for all ages and even winter zip lining! SO much to do there! Having so many kid activities made this trip even better. 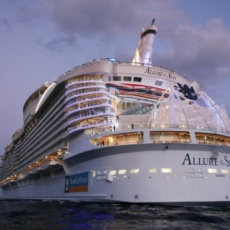 Meals with Shrek, the water park, skating rink and boardwalk are just a few of the perks of this ship! AZ in the winter is the way to go. 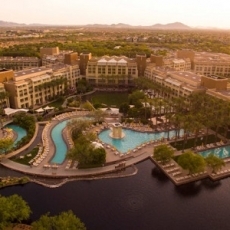 Golf, spa, pool time and a ton of kids' activities at the Desert Ridge is the total package. Tip: It's HUGE! Ask for a room closer to the lobby. 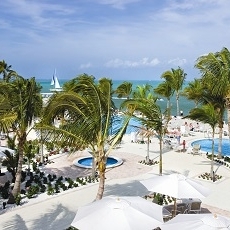 All inclusive, luxurious and completely kid friendly! 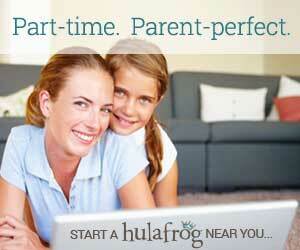 The Family Concierge program gets you private heated pools, a room butler and more. Tip: Make dinner reservations in advance! This cozy resort has rooms with fireplaces and winter sports galore. 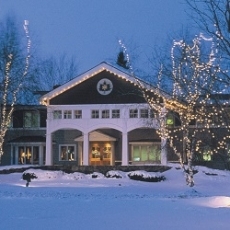 Send the kiddos skiing and spend at a day at the spa! Tip: It's never too cold for a tour of Ben & Jerry's Ice Cream Factory! 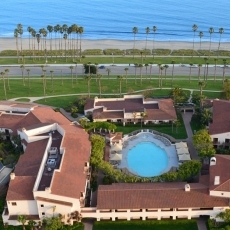 The Fess Parker is right across from the beach and it's walking distance from the zoo, which is AMAZING! Hike Lizard's Mouth and check out Chase Palm Park. Welcome to the greatest time of year at Woodloch! 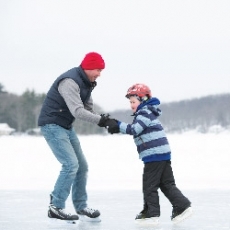 Your little ones (and big ones) will love snow tubing, ice skating, and having fun in the snow. Or they can join in any one of the many, many awesome activities - what Woodloch does best. Find out why parents everywhere love Woodloch, and why it was rated #1 for families by TripAdvisor.